We have lost the ability to distinguish between substantial, known threats to our welfare (such as smoking, heavy alcohol intake, excessive sun exposure, and obesity) and much less certain and possibly trivial risks. In fact, due to a bizarre psychology, it is the latter category that gets by far the most attention. Prescription drugs are carefully evaluated and labeled to reflect the risks of the medications and their potential interactions with other medicines, and vaping active drug ingredients is an ineffective route of delivery and can be dangerous. Published in the New England Journal of Medicine, this work could lead to personalised medicine for patients with these blood cancers. It will help doctors identify those patients who are likely to have a very good future outlook, and which patients may benefit from specific treatments or clinical trials. In summary, mounting data now support a role for plasma NGS as a helpful tool to supplement or even obviate the need for often scarce and difficult-to-obtain tissue for NGS testing, but this should not circumvent the central question of whether NGS testing will improve clinical outcomes and thus whether it should be performed at all. Using genomic data of 1.28 million individuals tested with consumer genomics, we investigated the power of this technique. We project that about 60% of the searches for individuals of European-descent will result in a third cousin or closer match, which can allow their identification using demographic identifiers. “This is a very important study,” said Mark Stoler, M.D., associate director of Surgical Pathology and Cytopathology at the University of Virginia School of Medicine. It’s the first study performed in the United States, Dr. Stoler continued, “that really provides the assurance that [dual stain] is a better triage test” than the Pap test. My doctor had no reason to believe I was at risk, and I had no reason to believe I should question her judgement. What I didn’t know, at the time, was that there are multiple and conflicting breast cancer screening guidelines for women between the ages of 40 to 49. Recommendations reflect evidence showing similar early cancer control and side effect rates with hypofractionated treatment, compared to longer courses of conventional radiation. Bristol-Myers’ interest has manifested in a deal that allows it to keep tabs on Compugen without tying it to major financial commitments. The $12 million equity investment, which is priced at 33% above Compugen’s average stock price over the past 20 days, is the big financial component of the deal. The collaboration is also designed to address potential future combinations, including trials sponsored by Bristol-Myers Squibb to investigate combined inhibition of checkpoint mechanisms, such as PVRIG and TIGIT. Compugen’s stock surged 10% on the news, with the right to pursue an early-stage study of a combination of Opdivo and COM701. The little biotech has posted preclinical evidence that suggests elevated levels of the ligand PVRL2 in PD-1 resistant cases may offer a key biomarker for their drug, the PVRIG-targeted COM701. In the study, published in the journal Gut, the team used pancreatic cancer cells from patients with late-stage disease, and transplanted them into mice. They then took the patients’ immune cells and modified them to specifically identify and eliminate the cancer cells - creating ‘educated killer cells’, or CAR-T cells. Two Brief Communication papers published on 1 October 2018 in the Nature Medicine underline that acquired resistance to CD19-targeted CAR T cell therapy can occur through mutations in the CD19 gene or after insertion of a chimeric antigen receptor (CAR) into leukaemia cells, resulting in the adjacent receptor being masked by the CAR. Allogene has licensed rights to UCART19, a cell therapy that is currently being tested in two in Phase 1 studies. Allogene bought the U.S. rights to the therapy from Pfizer, as well as the rights to 16 preclinical CAR-T therapies Pfizer also controlled. Those, as well as UCART19, originated with the French-American biotech Cellectis. Analysis of one week’s worth of tweets about breast cancer paints mixed picture of the network’s use by individuals and institutions. Iceland was a pioneer, but the United Kingdom has gone much larger: by 2010, the UK Biobank had a prospective cohort of some 500,000 individuals, aged 40–69 at recruitment. Following this age group enables a focus on diseases of middle age and later. 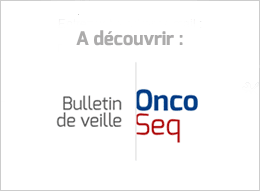 The data was selected from 1998 to 2012 after the introduction of novel NSCLC chemotherapy agents. The primary outcome was 2-year survival that was analyzed using a multivariable regression model controlling for age, year of diagnosis, gender, primary payer, histology, and facility type (academic centers verses community-based centers). Jacks and his colleagues describe the Lustgarten investment as high-risk, high-reward — an innovation fund to move beyond incremental improvements at both the bench and the bedside. Certainly, you have to wonder why Dr. Aronowitz hasn’t published the results of his study as far as I can tell. I can’t help but wonder if he’s just doing the same thing that a lot of the stem cell clinics I’ve discussed are doing, selling stem cells as magical cells that can do anything. J&J has been fighting talc cancer lawsuits for several years, but the litigation shifted in recent months to include allegations of asbestos contamination. Plaintiffs now claim asbestos fibers in the products are causing both ovarian cancer and mesothelioma.